Robert Starer Interview with Bruce Duffie . . . . . It is always assumed that life goes on from generation to generation; a continuous flow along the highway of life. Like Ol’ Man River, it “keeps on rollin’ along.” This applies, of course, to everything — not just music — but since my own passion is for this kind of organized sound, I seek out those who create it and perform it and teach it. Those teachers insure the uninterrupted flow along the various streams and tributaries, while augmenting and refining both the concept of the art and its displayed versions. In the course of over 1600 interviews, I have managed to chat with many who have taught. Sometimes their students also wind up in my stable, and I even have a couple of instances of teacher-student-grandstudent! So it is not surprising that the oldest of my guests will descend from earlier generations whose names are perhaps legendary. 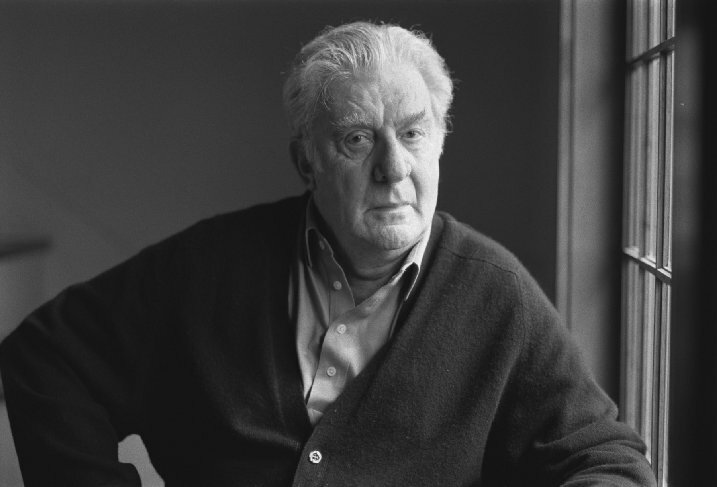 In this particular interview with composer and teacher Robert Starer, he cites his own connection to a very famous name. A VERY famous name. One that everyone knows — probably any audience at all kinds of performances. I will not divulge the name here, but encourage you to discover it late in this article. Don’t jump ahead and try to find it. Just allow it to sneak up on you when you’re not expecting it. One last thing, please. Remember that this interview is NOT about that famous guy. It’s a conversation with a continuation of that line who is here during our own time, and who is making his own imprint on the continuation. It is correct that the emphasis is on the new guy, with only a mere mention of the legendary one. Usually it’s the other way around, but today the reverse is true. Robert Starer: ...composition and theory. BD: Is composition something that really can be taught, or must it be innate with every young composer? RS: Some aspects of composition can and need to be taught. The student has to study counterpoint and orchestration, but beyond that, it is really the individual. I find there are generally two kinds of composition students: first, those who look to the outside and imitate. They’re relatively easy to teach because they will eventually model themselves after one composer, then another, and finally a third and go with the fashion of the times. I have a feeling that eventually they will teach the same way themselves. Then there are composers who look to the inside. They are much more difficult to teach, and all one can really do is help them with their problems — which are not always musical — and encourage them, because even criticism has to be encouraging. Then they may develop, and if they have talent and stamina and are willing to resist difficulties or overcome them, I think they will become composers. BD: Does either one of these personality types tend to become a better composer, or a more accepted composer? RS: Whether you are accepted or not in your own time, I think, very often depends more upon your political skill than your music. BD: Is that a good thing, or a bad thing? RS: [Laughs] No, it’s not a good thing, but it’s a real one! And it has always been that. There were people in Bach’s time infinitely more famous than he. There were people in Mozart’s time; that has now been publicized a great deal. There have always been composers. If you pick up a modern music magazine of the twenties and thirties, you will find long articles about people whose names this generation has never heard. And I’m equally convinced some of the names that are big today — I will not name them for you — will not be known twenty years from now. But they sit on all the committees; they run the show themselves, so to speak. They are excellent politicians. BD: Whose fault is it that the composers are not well-known? BD: Well, should we teach young composers who have great talent how to squeak louder? RS: Some of them squeak awfully well all by themselves! [Both laugh] No, I’m not recommending that. I’m just answering your question as best as I can. Stravinsky wrote that Pisendel was much more famous than Bach in his day, and Stravinsky, in one of the nastiest terms of our time, called somebody the Pisendel of our day! Stravinsky had a wonderful, wonderful sharp wit. If you remember that when John Cage came out with his piece Silence, Stravinsky said, “I wish all modern music festivals would be in silence.” That was the most devastating remark ever made on him. BD: As far as whether music should be performed, whose judgment should be accepted or viewed as accurate? Is it the public’s judgment, the critics’ judgment, or the composer himself? RS: I think the normal life of a music composition is to be recognized sort of slowly. Then if it has merit it will establish itself because pieces that make a big splash often are forgotten also rather quickly. Music, I think, needs to have the quality that one needs to hear it more than once, so that the experience of repeated hearings becomes a deepening in order to live and in order to survive. Why is it we can listen to a piece that is a hundred years old, and that we’ve known all our lives, and still discover something new in it? And there are other pieces which sort of tell us everything they have to tell the first time we hear them, and we have no desire to hear them again? BD: Then let me take this one step further, especially with the over-proliferation of recordings and the repeated hearings of the standard repertoire in the concert halls. Is there a chance that we are giving some of these masterpieces too many times and too many hearings? RS: Absolutely! I think there’s altogether much too much music around us to which nobody listens. I think this is the greatest danger surrounding music — greater than any other. BD: How can we combat this, or readjust it? RS: I don’t know if we can. I think it is up to the individual. An entire generation has grown up which can study, play cards, make love, cook eggs or do anything while music is playing, without paying any attention at all to it. There is, of course, a kind of music that lends itself to that. Have you ever known anybody not to get off an elevator in order to hear the end of the piece that was being played? BD: [Laughs] No, but I’ve often not gotten out of my car! RS: That’s something else. I have done that many times, too. More often, I wanted to know who the performer was if I particularly liked the performance. Driving and listening to music, since you brought it up, I think go extremely well together — if you are not in a traffic jam. But if you are on a highway, going on a moderate tempo, driving does not need your mind’s attention. You can give the music your entire attention the way you should. But I don’t like the late Beethoven string quartets as dinner music, for instance, when nobody’s listening to them. BD: Let me pursue this just a little bit further. The idea of hearing music in solitude, in isolation — do you think this violated the ideas of the composer who wanted it to be heard in at least a small concert? RS: The composers who wrote before recordings, I guess, had no choice. The only way they could be heard is in concerts. Now, since recordings exist and are so perfect, we can choose when and how we hear music. Some of the choices are good and some are not so good. I would not want to hear the Mahler Second while I shave in the morning, or something like that. Music that generates intensity I want to hear when I’m in the right mood for it. If I do go to a live concert, I know what to expect and I sort of prepare myself for it, innerly, and then I really give it my entire attention. BD: Do you give any different attention if you are sitting with two thousand other people in a hall, or if you’re sitting in your living room with perhaps just your wife and family, or even alone? RS: I think it’s different but it can be equally intense. I think there’s something wonderful about listening to music with a lot of other people. To speak as a composer again, I do believe composers are the only people — compared to writers or painters — who can actually be present when a large group of people experiences the result of their art. Writers almost never meet readers when they are actually reading their books. Painters encounter the audience at openings, usually, but as a composer, you can sit in the hall and watch two thousand people react to your music! If it’s not a premiere and you don’t have to get up, you actually get a chance, sometimes, to hear some awfully nasty comments about yourself! BD: [Laughs] What do you expect of the public that comes to hear the music of Robert Starer? RS: Just that they listen to it and give it the kind of attention that I think people should give music; that they should try to hear what I’m doing. I have no theories; I have no text to propose. Until I wrote this book, which has just come out, I have really written very little except program notes and those notes are always short. There is an anecdote about Beethoven, who played a piece and then somebody said to him, “Now would you tell me what your piece is all about?” and he sat down and played it again. BD: So this is what you would do if people asked you about your music — encourage them to hear it again? RS: If it were physically possible, yes. BD: When you’re writing a piece, do you write with the audience in mind, or do you just write for the performers or for yourself, or for whom? RS: It really depends. If I have a commission for a specific performer, of course I have that performer in mind. When I wrote the Violin Concerto for Itzhak Perlman, I knew it was for Itzhak Perlman. He has the most beautiful violin sound I know, and technically he can play anything you want. When we went over the piece together, there were only two times that he said, “God, I’ll have to practice that!” [Both laugh] And the piece is not exactly easy. So when I write for a specific performer, I do have that performer in mind, or for a specific orchestra. For instance, if a community orchestra commissions me to write, I know I cannot demand enormous technical things. I keep that in consideration. BD: But you don’t write down to the community orchestra, do you? RS: Oh, no, not at all! But I avoid extreme difficulty. BD: Now the violin concerto which you wrote for Perlman, does that then preclude other performers from trying it? RS: [Laughs] No, but I don’t think anybody will for a while. Although somebody in the last week asked me two strange questions about the piece. He said, “How come you don’t have any woodwind solos in your concertos?” The answer that came to my mind was, “If you were a stage director and you had Hamlet on stage doing his monologue, you would not have a pretty girl walk at the other side of the stage.” But then the same person pointed out to me that I juxtaposed the violin with the brass quite a bit, and that is true in this concerto. That person suggested that I rescore it for violin and winds — which I have done with my Second Piano Concerto, by the way. BD: Is this a typical thing, to revise scores drastically like this? RS: No, but in our country there is a great bit of wind playing — bands and symphonic bands — and they do want literature. So that a piece gets a sort of second lease on life if you score it for that combination. BD: Is it the same piece rescored, or is it really a new piece? RS: The piano part is identical and the orchestra part is written for winds only. BD: So these are two separate versions. BD: Do you ever go back and tinker with pieces, and rework them so that you are more pleased with one version than another? RS: Never! Once I’m done with a piece, it’s gone. RS: [Laughs] I am done with it! I have written quite a bit for dance. I don’t anymore, but I did for a number of years. I wrote several pieces for Martha Graham and for Ana Sokoloff and Herbert Ronns, and a lot of others. There, as a composer you have the advantage that you hear your music almost immediately. You finish the piece and it immediately goes into rehearsal, whereas other times you finish a piece, and by the time it gets played several weeks or months elapse, and I am already on another piece. I’m really always only interested in the one I’m working on. BD: Do you ever work on more than one at a time? BD: Is this how musical traditions get established and continued? RS: I don’t know. I have pieces that get played more now than thirty years ago when I wrote them, and that pleases me enormously. BD: Are you basically pleased with the performances you hear of your music? RS: Yes. I enjoy performers who add something of their own to a piece, and most good performers do. I like a little bit of interpretation. BD: How much is a little bit? RS: No one knows. If it’s a distortion, I don’t like it, but it happens very rarely. Most of the people who are now on musical stages are very good. I’ve had no disagreeable experiences with performers. BD: Let me ask, then, in the abstract. At what point does the line become a distortion? I very often talk with performers and I see it from their eyes, but from the eyes of the composer, where does that line of distortion become distinct? RS: I’ve gone through various phases in this, in to how I annotate my music. For a while I used to put poco ritardando and poco accelerando. I found that many musicians exaggerate it, and every poco ritardando became an enormous slowing down and every poco acceleranado became an enormous speeding up. Then I decided to put in as little as possible, with the result that pedestrian musicians played my music absolutely straight! So I came to the conclusion that you’re really at the mercy of the performer’s taste. A good performer will find the right tempo, and another one, no matter how many indications you put into the music, will somehow misunderstand. BD: Are performers better today than they were ten, fifteen, twenty, thirty years ago? RS: I think they are very, very competent these days. I don’t know if public attitude to performance has changed very much. What do you think? BD: I think the public seems to be getting lulled into expecting the perfection they experience on the recording. RS: Oh, that is true! I taught at Juilliard for a great many years, and there you get students from all over the country, or from all over the world, actually. Many people for the first time heard somebody in a live concert in New York, whom they had known from recordings, and they said, “But he hit a wrong note!” I said, “Yes, thank God he hit a wrong note! He’s human.” That element, of course, recordings have obliterated. Nobody releases recordings with wrong notes. Kreisler was the last one to do that, I think, and Schnabel. Do you know those recordings? BD: Oh yeah, the Schnabel Beethoven discs are just wonderful! RS: Yeah, but to them a recording was really just a record of a concert, so to speak. People don’t do that today. I do not like recordings that are so clearly thousands of splicings. I think one sometimes notices the kind of virtuosity of the recording engineer, rather than the performer, but the audience accepts it, of course. BD: You don’t encourage wrong notes in recordings of your music, do you? RS: [Laughs] No, no, one does not encourage wrong notes at any time. BD: I’ve asked if you’re pleased with performances. Are you pleased with the recordings that have appeared of your music? RS: Yeah. The one for brass quintet and harp was commissioned by the Annapolis Brass Quintet, who have played my music. When they came with that proposition, my first reaction was, “What a strange idea! Brass quintet and harp?” Brass quintet to me means masculinity, vigor, and the harp is an essentially gentle, feminine instrument. I considered it an absolute challenge to combine these two. I expected the piece to have three performances, and to my great surprise it’s being played in a lot of places. Maybe because it is such a strange combination, the harpists pick it up. There’s almost no literature for this combination. I think there was one other piece on the program for that combination; the rest was either harp solo or brass quintet. Now that sort of challenge I enjoy very much. When you asked me whom I have in mind, for instance, there I had the performers in mind. BD: Were you pleased enough that you will write a sequel to the piece, another piece for the same combination? BD: How do you decide which commissions you will accept and which commissions you will decline? RS: I accept works that interest me and turn down works that don’t interest me, and I do not like to do things I have done before. I like to do things that I have not done in a long, long time. I did accept a Library of Congress commission for a work for violin and piano for ’88, but I haven’t written for violin and piano in twenty or thirty years. BD: So it’s like coming back to an old friend? RS: In a sense, yeah. But I will not write for brass quintet and harp again. That is one of the dangers in life; if you do anything reasonably well, people want you to do more of the same. One has to stop that, otherwise one becomes complacent and sort of turns it out and repeats oneself. That, I think, is artistic death! That is to be avoided at all costs. BD: When you’re writing a piece of music, how do you know when you’re finished? How do you know when you’ve done everything you should do? BD: Then what criteria do you use to decide when to abandon it? RS: It’s very rarely that you have a feeling about your own work that it is perfect; after all, it never is. But there comes a point when you say, “This is it. I can do no more. I’m really tired of it.” Then you put finis on it. Also when the work goes to performance there is a deadline beyond which you cannot go. Or if it’s about to be published, there’s always that moment when you send it to your publisher. This is the final version, because once it’s published to change anything is almost impossible. RS: Yes, I guess there are. I’m just not one of those people. RS: One can only follow one’s own natural inclination. For me to revise a piece, that is a long process. I know there are many, many very prominent people who do it, but I really think that’s an individual difference. BD: You brought up the word “perfect.” Should you strive for perfection in everything that you write? RS: One should always strive for perfection, but always know that it does not exist. BD: How close do you come? RS: To our ideal of perfection? RS: Well, to be modest, I would have to say not very. But we do try. As composers, we do have moments of total satisfaction, for instance when we sit in a concert hall or hear the recording of a really superb performance of our music. I think those are the really rewarding, great moments of one’s life. One wishes they could go on forever, but of course nothing does. It’s sometimes the perfection of the performer that gives us the greatest pleasure, the sense of being deeply understood. BD: Suppose one of those near-perfection concerts was recorded. Do you get the same feeling if you listen to that tape six days or six months or six years later? RS: If it is really superb, yes. I think it lasts absolutely. BD: So then it transcends the moment in time when it was given? RS: Yes. But for some of those recordings, one does have to be in the mood. If you would make me listen to one of those things in the early morning just after I’ve woken up, I might not be at all in the mood to enjoy or even to perceive it. BD: Even though it was the perfection that you sought? BD: Is there any chance that when you’re listening to something that you don’t feel is a very good concert, it’s perhaps your mood instead of the performance? RS: There’s always that possibility, yes. Don’t you think so? BD: Of course! Looking at it from the eyes of the creator is what I’m inquiring about now. RS: Of course! Why else would one do it? I have just written a book which is called Continuo: A Life in Music, and in it I’ve explained how I became a composer. I began very early; I played, and as a child I enjoyed improvising, which was forbidden in my parents’ home. Luckily my mother couldn’t tell the difference. So if I had to practice for an hour, I occasionally put a book onto the piano, read the book, and improvised. As long as I made sound, she was content that I was practicing. It wasn’t ‘til my late teens that I encountered a teacher who told me that this was not a nasty, forbidden sort of activity, but that it was something good and that it should be encouraged, and that it could lead to composition. The other thing is I have not had a very good memory. I once had a terrible memory slip in a Scriabin piece, the Second Sonata in G sharp minor. For some reason, after playing the development I could not get into the recapitulation; I always came back to the beginning and the exposition. After I had done that three times, I was so desperate that I completely improvised an ending in the style of Scriabin just to finish that piece. So while I was only in my late teens, I decided that evening that I could trust my ability to improvise, but not my ability to remember. That’s had a decisive influence on the rest of my life. BD: Have you done some performing of your own music? RS: Yeah, but only to accompany when I have music before me — never from memory. RS: Oh, no, by no means! For instance, I do not conduct. The only playing I do is songs or solo pieces. I will accompany if I’m asked to, or I will sometimes play easy piano pieces as parts of a lecture. But I’m not a performer, no. BD: You don’t feel that composing is performing for others? RS: No, and I do not enjoy what is called practicing other people’s music. So I would never have become a good performer. BD: What are the special joys of writing for the human voice? RS: The human voice, to me, is the ultimate instrument. I have tried to write for it all of my life. I think it’s the most difficult thing to write for, and I hope I am getting better at it. The human voice is humanity and it is life; machines are machines and to me they represent death. Therefore I do like the human voice, and I also like to do things that have human situations. I’ve always enjoyed dramatic texts, or writing for the theater. I did dabble at electronic music when it came out, but not for very long. BD: Do you ever add electronics into other pieces, just to add a color to your palette? RS: No, but I can make some of the electronic sounds with an orchestra! My students always are impressed by that. It’s not all that difficult. They say, “Oh, that sounds almost like electronic music!” It’s fun to get some of those effects by non-electronic means. Next to the voice, I think I like the violin and the cello best, and then winds and brass. To write for machines holds no interest for me. But I did dabble in it when electronic music first came out, and I have used electronic effects in ballets and some such things, but really only as a sound effect. BD: I want to be sure and ask you about your operas. First was The Intruder? RS: That was a very youthful effort, yeah. I don’t usually mention that one anymore. BD: Do you wish to disown it? RS: I haven’t looked at it in years and I don’t think it was a successful piece at all, no. I know it had some good reviews, but I don’t think it works, either as theater or as music. BD: Why? What about it doesn’t work? RS: I think the dramatic story is not convincing. BD: That’s a general lament of half the operas in the literature! RS: Yeah, now that I do like. It’s after a Belgian writer, Michel de Ghelderode, and he sort of touched the theater of the absurd, but not quite. It is a little expressionistic, and I adapted the libretto from the play myself, which meant largely cutting and changing. There were not enough women in it, so I turned one man into a woman. His widow was still alive, so I could get permission to do all those things. It had one very good production, and others have nibbled at it. Although Andrew Porter of the New Yorker devoted an entire issue to it with praise and included it in his book, it has not had more productions. [See my Interview with Andrew Porter.] I wrote a chamber opera called The Last Lover with Gail Godwin [with Starer in photo at right], with whom I have collaborated several times since. That had its premier at the Caramoor Festival and has had many performances since. BD: Because it’s a chamber work? RS: I think so, perhaps. The demands are not so big. It’s just a few singers and a few instruments. It can be staged without huge expense. It’s also been done in churches because it’s a sort of sacra representazione. It has a sacred idea — it’s about Pelagia, a saint of the fourth century, but the treatment is very modern. BD: About how long does it run? BD: So it would be good, then, standing on its own in a church performance. RS: It’s had church performances, and it has also had staged performances, and semi-concert performances. It seems to last. I think I’m more hopeful about its survival than Pantagleize, which is a big, big production, which would require a major opera house to take it up. BD: If The Last Lover were being done on stage, it would need something else to fill out the evening’s bill. What kind of things should be done with it? RS: It has often been paired. The last time I saw it, in Washington, it was paired with Stravinsky’s Histoire du Soldat, which worked very well. It is sometimes paired with comic operas. If I ever have the time, I want to write a funny companion piece for the same cast. BD: That would be very good! RS: Yeah. But I’ve never had the time to do it, or the occasion. I’m just now negotiating for an opera for ’89-’90. It’s not yet negotiated, so I cannot speak about it. That will be a full-length work. I did one for the Minneapolis Opera, which is a nice group, by the way. BD: They seem to be very adventurous. RS: Very adventurous, yeah. I had a very good time with them. BD: Was that very successful? RS: I was not entirely satisfied with it, and if there is another production — again, it’s been talked about — I would make a few changes in it. BD: Since you are encouraged enough with your own operas to be negotiating for yet another, you must feel that opera is still a viable art form. RS: Well, I know it’s a step-child of our century, in many, many ways. If you look at the literature, there’s really only one successful twentieth century opera, Wozzeck, right? BD: I would list Peter Grimes in there, also. RS: Oh, yeah — and Benjamin Britten. I do think Benjamin Britten has succeeded, and some of Henze, but only moderately so. Perhaps Menotti if you like him or if you don’t. [See my Interviews with Menotti.] I have always admired his sense of theater enormously, and I have envied him the ability to plot and write text and music at the same time. That is an ability I do not have. But not all his music is the greatest, unfortunately. BD: When you go to a concert or an opera, does the public have the right to expect that the music they’re going to hear that night is the greatest? RS: The operas that have survived — Mozart, Verdi, and so forth — are, in a way. There are a few dreary spots here and there, but there’s always something beautiful coming just around the next corner. BD: When you’re writing an opera, do you strive to make sure that there’s always something beautiful coming around the next corner? RS: [Laughs] You like to pick me up quickly, don’t you? Yes, I do think there has to be ups and downs. I do think the idea of having spoken dialogue is basically a sound one, although many purists immediately say this is not an opera. But it works for Mozart and better than the recitative, which I find very boring, particularly in a foreign language when I go to the opera. Even in Wagner, where there is no recitative, there are long, long dreary stretches between the glorious moments! BD: Do you feel, then, that opera should be given in translation? RS: Oh, yes! I do. I know you lose something if you do, but it’s wonderful if you do understand what is being said. Of course it also presupposes a composer who sets it in such a way that you can understand. BD: [Laughs] So that if your operas are being done in a European country, you would encourage them to do it in the translation? RS: Yes. In The Last Lover I have spoken dialogue. I’ve just done two works for narrator for the first time in my life! At first I was sort of resistant both to the concept of it and then to the practical side. However, I found that it works extremely well, and for once I will be absolutely certain that the audience will know what is being said. They will not have to read program notes or watch interpretations on a screen or anything. BD: Should we develop a kind of virtuoso narrator, the way we have a virtuoso violinist or a virtuoso singer or a virtuoso conductor? RS: The second piece I have just done requires a virtuoso narrator. He happens to be a radio music announcer, by the way, who is well-known in the New England area, a man named Robert J. Lurtsema, who can do many voices. The work was commissioned by the Hartford Chamber Music Society for him and it is called Remembering Felix. Felix is a pianist — whom we created — who has just died, and there a number of people who remember him. The first one to remember him is an oboist who just happens to pick up the newspaper and sees the obituary. Then we have his former publisher who says, “He would have had a longer obit if he had remained my customer.” Then we get his accountant, who is quite entertaining; then a woman who loved him; two critics, one who liked him and one who didn’t, and finally three students — one Japanese, another French and the other one from Zanesville, Ohio, who took a class with him when he had his heart attack and died. So the narrator will have to do all these people. In other words, he would have to be a person who can really modulate his voice and become different people, which in a sense is a virtuoso narrator. BD: Is this at all different from a very skilled actor? RS: No, it’s not. It requires, in other words, a very skilled actor, but I’ll take your definition. The other work I wrote requires an ordinary narrator. I live in Woodstock, New York, when I’m not in the city, and a local organization has asked me to do something about the area. So I’m using texts from Washington Irving to Walt Whitman who have described this area. There the narrator has simply text that almost anybody can read, which is what they really wanted because they will have a narrator who does not know music. I looked at the literature for narrator, and there’s, Copland’s Lincoln Portrait, and I think the most famous work is probably Prokofiev’s Peter and the Wolf. I discovered, which I didn’t know, that Prokofiev wrote his own text for Peter and the Wolf. He combines things — segments where just the narrator speaks, and then there is music. But it was intended as a piece for children, so maybe one needs children for a narrator. Anyway, to come back to the question, I have enjoyed writing for narrator, although at first I didn’t think I would. BD: You brought up the subject of children. How can we get more children to come to concerts of serious music? RS: I think people do a lot of that. I have written a lot of music for children, and I’ve always enjoyed doing them. I’ve written piano pieces such as Sketches in Color, which are played by many children. And I have a choral work for children, so there are a number of things. You cannot fool children; they see through pretense very quickly if you can interest them. I do think children should make music, rather than listen to it. BD: Music as a participatory art? RS: Absolutely, especially for children. I think what goes on in our schools is wonderful, where they give them instruments and teach them to play or at least sing in a chorus. I do think children should make music, rather than only listen to it. Even if they later don’t make music, they will have an understanding of it and how it is made. Not that I have been to many, but we do have lots of very good children’s concerts. I once had a commission for a piece for children, for a youth concert. This was a long time ago and I wrote a piece called Six Variations with Twelve Notes. Not that I am strictly a twelve-tone composer, but at that time I was a little bit, and I wanted to make the whole idea of twelve-tone music accessible to children. It had a great many performances at the time. In Detroit, the conductor Paul Freeman took it all through his children’s concerts. Others did, too, and it still gets played every now and then. BD: I assume, though, you are not aware of all the performances of your music that go on. RS: Oh, no. How can one be? BD: Does it surprise you when you get a letter or a review, or something from someplace that they’ve done this or that? RS: Oh yeah! There are lots of them in the mail and sometimes tapes arrive. It’s very nice! And as one gets a little older, it’s also interesting to find which works stay and which works sort of die or disappear. If there is a logic to it, I have yet to really find it. Many pieces which I like of my own have not survived, and others which I sort of wrote quickly seem to live on. Perhaps they are better and they just came too easily to me. BD: You say that some pieces die. I would think that none of your pieces would die, that once they are published there’s always a possibility of life for them. RS: There is, but the publishing industry is in somewhat of a trouble these days, and if a work does not sell a certain number of copies, they may not reprint it. Works go out of print. Virgil Thomson, who I saw the other day and who is amazing at his age of ninety, speaks about how some of his music has gone out of print, and he’s a little upset about it. BD: Because that means it’s really unavailable? RS: Well, if people really want it, they’ll go to a library and Xerox it, but it’s unavailable to the wide public. [Wistfully] We should all live to such a ripe old age. It’s amazing — he came to a concert of his music, at ninety! It was not only his music; there was a piece of mine, too. In fact, mine followed his. He’s a little hard of hearing, so when his piece was over, he said to the lady who brought him, “I suppose we have to stay a little while longer?” [Both laugh] The entire hall heard him and was, of course, amused. But one forgives a ninety year old composer almost anything. RS: He’s one of the most entertaining, witty people I’ve ever met. BD: Is it wrong to celebrate big round birthdays of composers? RS: No, I think it’s wonderful. It’s also amazing, the longevity of composers! If you look around, they all seem to go on for a long, long time and stay active. These days people live longer and stay active longer. 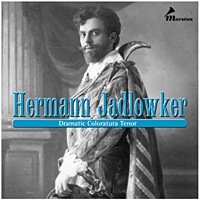 BD: In looking over some of the material you sent, I came across a name I wanted to ask you about — Hermann Jadlowker [Latvian tenor (1877-1953)]. RS: When I was very, very young, the first job I ever had — job in the sense that I was paid; I was seventeen — was to accompany Herman Jadlowker, who had decided to give recitals again. That not only became a chapter in my book, but it appeared in the New Yorker magazine and in the London Times. Everybody seemed rather taken with the story of this young person who played for Jadlowker, because Jadlowker had sung for Brahms when he was very young. In fact, it gave me the title for my book, Continuo, the continuity. That I should play with a man who had actually sung for Brahms was very, very attractive to me. He had not much voice left at the time, but he was an incredibly great performer. He really had the audiences in the palm of his hand, as they say. He could do anything he wanted with them! I was so overwhelmed that I actually forgot to play while we were on stage together. RS: And he was a nice man, an elegant man. BD: When you were studying composition, who were your principal teachers? RS: I studied in many places and with many people, so that I’m really not indebted to one particular individual. BD: Are you indebted to one particular style? RS: No. I’ve also lived in different places and I don’t think I am indebted to one particular style. Sounds cannot be copyrighted, so if I hear a nice sound that I like, or an orchestration effect, I have no hesitation in stealing it and incorporating it into my music! But I have never really imitated or emulated anybody in particular. BD: When you steal a sound, though, you’re not stealing something verbatim. It’s being filtered through your creative mind. BD: Do you ever use strange instruments or mis-tunings, or anything like this? RS: Oh, yeah! If a dramatic situation requires it, absolutely, but only as an effect. I don’t think a man can listen to it for any length of time unless there is a dramatic justification for it. BD: What do you feel is the ultimate purpose of music? RS: You mean in our lives? BD: Either in our lives, or in the history of mankind? RS: Well, in the history of mankind, its purposes were either the glory of God, or dance, or war. If you substitute more modern terms for those, I don’t think it has changed that much. Rock music, I think, is like war music. This poor generation who hasn’t had a war has to get rid of its excess energy! And religious music to deal with the supernatural is also very much with us today. I would say those fields are the basic function of it. You’re a very deep questioner! BD: I like to probe the mind of the creator! RS: You really do probe the mind. My compliments. BD: Thank you. Thank you very much. You don’t feel that we should stage a war, though, just so that this generation can experience it? RS: [Laughs] No, no, no. The substitutes are better. We have sports, which the Europeans take even more seriously than Americans! When the Italians play soccer against the English, it is a little war, as you know. BD: Should the concert promoters try to get the soccer public into the concert hall? RS: No! No, I think music was always for a small part of the population, just as good books are only for a small part of the population. You can increase that by a percentage point or two, but I do not think you can ever please everybody with it. BD: You don’t write as an elitist, do you? RS: I don’t like the word elitist, but I realize that if my music were played in the middle of a rock concert, it couldn’t possibly be received well. BD: Would you object to that, though? RS: I wouldn’t object. It’s not going to happen. An audience that wants to hear only a basic beat repeated and then somebody scream out a few notes again and again and again, cannot want to listen to anything more elaborate. I guess that makes me an elitist, but I think it’s impossible not to be. Most of our population can read and write, but what they read and write isn’t any better than what was done a hundred years ago. BD: You say you don’t mind stealing something musical that you like. If a rock performer found something in your music that he liked, would you encourage him to use it? RS: I have no objection. I have taken from rock music, too! Some of the rhythms are very good! There is some very good rhythm in rock music. They are, in a sense, more flexible than jazz was. I am not really fond of the electronic sounds, but I have used them for specific dramatic purposes. In the opera Apollonia, we have a character who has the ability to transform others, and I used an electronic organ for that throughout the opera, whenever she does that. A string section could not have given me that effect. BD: Is that a leading motive, then? RS: Yes, in a sense like a leading motive. I get letters from jazz musicians. You’d be surprised, but they do like what I do and I’m very flattered when they do. I also wrote a book called Rhythmic Training, which is used in many of the better schools in the country. I often get letters from jazz musicians who want to take private lessons. I had to unlist my phone when the book came out. BD: Oh! [Laughs] You don’t believe in giving private lessons, then? RS: I don’t give private lessons at all. I didn’t want to teach rhythm to jazz musicians. RS: Oh, there’s only this much you can do in your life! I thought my doing the book would suffice. Let them work for it. BD: Thank you so much for spending the time with me this afternoon. I wish you lots of continued success. RS: Thank you. I’ve enjoyed talking to you very much. 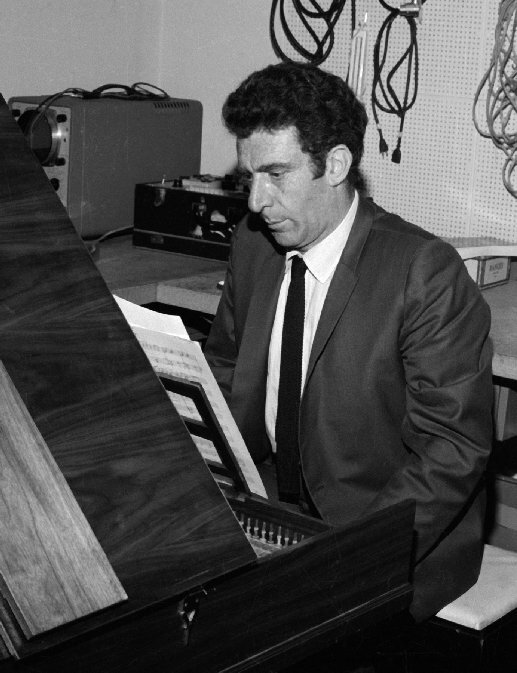 Robert Starer, composer and teacher: born Vienna 8 January 1924; died Kingston, New York 22 April 2001. There can't have been many RAF pilots in the Second World War who came to the task from pre-war Vienna via Jerusalem, and fewer still who went on to become leading composers. But that dislocated background may have helped give Robert Starer the clear-sighted anti-sentimentality that makes his music so effective. Starer was 13 when he entered the State Academy of Music in his native Vienna. A year later, from his bedroom window, he watched Hitler's troops march into the city; his Jewish family fled to Jerusalem. There he enrolled as a student at the Conservatory, where his teachers included Odon Partos and Josef Tal. It was between 1943 and 1946, with Palestine under the British mandate, that he served in the RAF. His move to the United States in 1947 was initially intended to further his musical education, but it proved permanent and he took US citizenship 10 years later. As a student at the Juilliard School of Music in New York, from 1947 to 1949, he studied composition with Frederick Jacobi, and in 1948 took a summer course with Aaron Copland at the Tanglewood Institute. He joined the Juilliard teaching staff himself in 1949, remaining there until 1974, and developing a distinguished pedagogical career in a number of other institutions: the New York College of Music (1959-60), Jewish Theological Seminary (1962-63), and Brooklyn College (City University, New York), where he became associate professor in 1963 and a full professor in 1966, and was elected Distinguished Professor in 1986; he retired from teaching in 1991. For all his importance as a teacher, it is as a composer ­ and a prolific one ­ that Starer will be remembered. His musical style was, in the main, traditional: he preferred to write in a liberated tonality, although with the contemporary developments of his childhood Vienna audible throughout his later music, and Hindemith's tough, no-nonsense muscularity somewhere in the background. Occasionally, too, he dipped his toes in serialism, aleatory and electronics, though a more permanent influence came from the oriental melismata he had got to know in the Middle East: he had studied Arabic rhythms and scales, and they reinforced the chromaticism he had ingested in his youth. It becomes explicit in works like the clarinet concerto Kli Zemer (which means "instrument of song" in Hebrew). Like almost all fecund composers, his output is uneven, and his music can occasionally be rather dry; at best, it has a hard-edged and refreshing honesty. 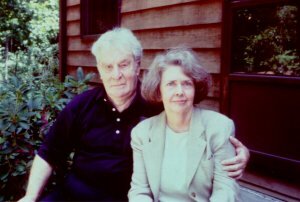 He wrote four operas, two of them, the chamber opera The Last Lover (1975) and Apollonia (1979), to librettos by the novelist Gail Godwin, who was his long-standing companion; in Pantagleize (1967) he set his own text. He collaborated with Godwin on a number of other vocal works, and with the choreographer Martha Graham on three of his seven ballets: Samson Agonistes (1961), Phaedra (1962) and The Lady of the House of Sleep (1978). 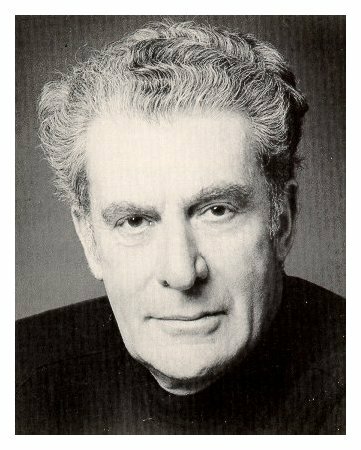 He also worked frequently with a number of outstanding instrumentalists: Itzhak Perlman premiered the Violin Concerto in 1981, and Janos Starker his Cello Concerto in 1988. There are three symphonies, many other concertante pieces, screeds of chamber music, three piano sonatas and a generous quantity of vocal and choral music, some of it on a large scale. He also took to prose, writing the textbook Rhythmic Training (1969), which is in widespread use, an autobiography, Continuo: a life in music (1987), and a work of fiction, The Music Teacher (1997). This interview was recorded on the telephone on March 21, 1987. Portions were used (along with recordings) on WNIB later that year, and again in 1989, 1994 and 1999. A copy of the audio tape was given to the Archive of Contemporary Music at Northwestern University. The transcription was made and posted on this website in 2009.